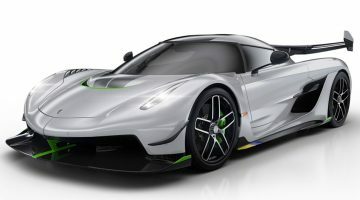 Hypercar maker Apollo Automobili has announced a partnership with HWA AG, the company behind Mercedes-AMG’s DTM offering, the legendary CLK GTR road car, and more besides, as its Intensa Emotzione hypercar enters its final development phase. Apollo says the Intensa Emotzione’s philosophy is to pay homage to the GT1 era of cars, so a partnership with HWA takes it a pretty huge step towards the IE not only being a homage to a GT1 car, but actually becoming one. The IE is Apollo’s halo car. Only ten of the Batmobile-esque V12 hypercars will be produced and all are spoken for. Final power outputs and performance figures for the car have yet to be revealed, though currently its 6.3-litre V12 is said to produce around 800bhp, with 0-100kph taking 2.7 seconds before reaching a top speed of 333kph. On the topic of the IE’s future, its pairing with HWA, and Apollo’s intent on creating a modern day GT1 car a spokesperson commented: “We’re eagerly awaiting what the FIA and the ACO says regarding GT1 [in future].” Does that mean Apollo is going racing? 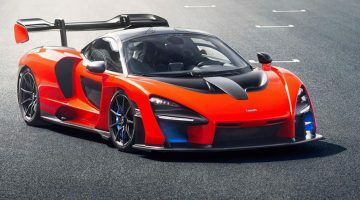 “No comment.” However, future announcements were promised so we can wildly speculate about whether Apollo could go toe to toe with Aston Martin, McLaren, et al in a shiny new GT1 series all we want until they break cover. HWA may not be a household name, but its work will be familiar to race fans the world over. As well as looking after Mercedes’ DTM team, it developed and produced the SLS AMG GT3 race car and its follow ups: the Mercedes-AMG GT3 and GT4. The company was set up by AMG founder Hans Werner Aufrecht in 1998 when AMG was sold to DaimlerChrysler AG. In doing so Aufrecht transferred AMG’s motorsport activities to the newly formed HWA. As well as racers, HWA has overseen a number of road cars including the SL65 AMG Black Series, the CLK DTM AMG, and the CLK GTR. Essentially, the people who want to make a modern GT1 car have partnered with right people for the job. Not only for the road car, but a potential future racer as well. If such a thing were to happen.